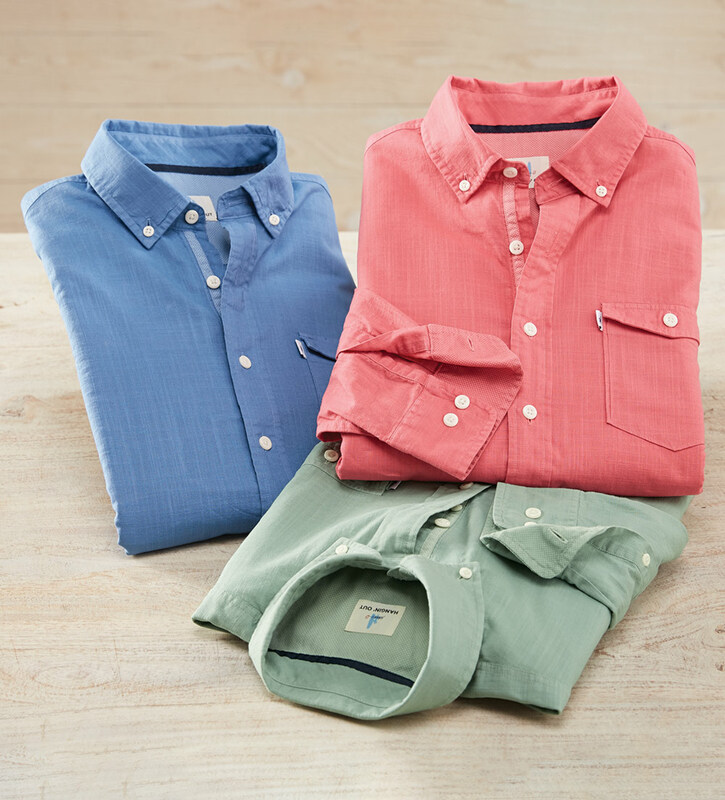 Cool, casual in soft, washed, 100% slub cotton poplin. Long sleeves, button-down collar, button flap chest pocket, hidden tweener button at chest, print inside yoke and cuffs. Machine wash. Imported.